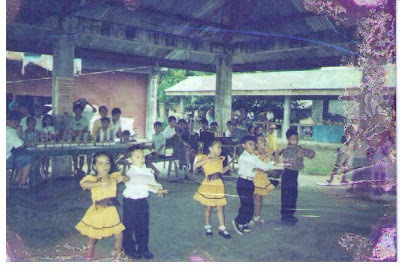 I am Agaton Raymaro Grasparil III of Sibalom, Antique, and I am the one in blue. I am a son of Macario Lotilla Grasparil and Victoria Raymaro-Grasparil. 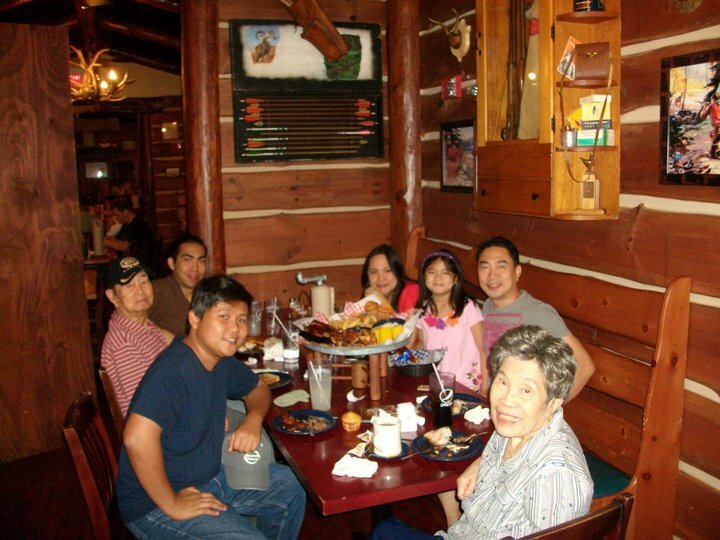 This is one of my favorite pictures; this was taken at a restaurant in a suburb of Chicago, Illinois, and with me are some of my relatives on the Lotilla side; they belong to the branch of Salvacion Lotilla-Galera who was an elder sister of my paternal grandmother, Soledad Lotilla-Grasparil. I believe that a person should be assessed based not on what positions he has occupied, but on what actions he has taken; not on what he has attained for himself, but on what he has done for others; not on what he has gotten, but on what he has given. For more than four years, I have contemplated on what the council's name will be, knowing that a name is important in the marketing of a brand or an idea, and I have consulted a lot of people regarding many possible names. I initially vacillated between PROYAFC which is pronounced as "proyafsi" (Provincial Youth Affairs Council), and PROCONYAF (Provincial Council on Youth Affairs). I chose PROCONYAF after a Grade III pupil of Malabor Elementary School in Tibiao, whom I had consulted, told me that he preferred PROCONYAF over PROYAFC because the latter seemed to pertain to gangsters. I eventually thought of wording the council's name in Kinaray-a to help protect and promote the language in the face of globalization. 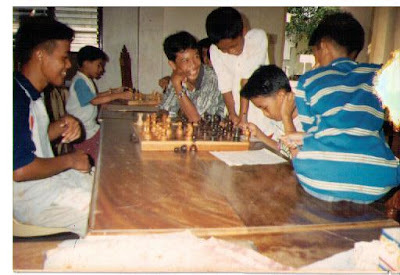 For the same reason, I, as the president of the Sibalom Chess Association, had decided in 1998 to word the names of the association’s tournaments in the language; resultantly, the Sibalom Chess Tournament became the Torneyo kang Chess sa Sibalom, and the Sibalom Youth Chess Tournament became the Pangpamatan-un nga Torneyo kang Chess sa Sibalom. My tenderness towards the language was apparently shared by a lot of youngsters, for everyone of the several youth leaders whom I consulted about which language to use in wording the council's name, whether English or Kinaray-a, preferred the latter. 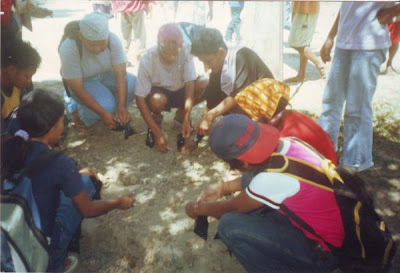 Also, many youth leaders in different parts of Antique had been using Kinaray-a in naming their activities. And so it was with conviction that I decided to use the language in naming the council, even though I had already spent considerable time and effort in choosing between PROYAFC and PROCONYAF. A few of the possible Kinaray-a names that I considered were KONAPHI (Konseho kang Antique tuhoy sa Pangpamatan-un nga mga Hirikuton), KAPAK (Konseho kang Antique tuhoy sa Pangpamatan-un nga Kasanyogan, or Konseho kang Antique tuhoy sa Pangpamatan-un nga Kaaraydan), KONAPLI (Konseho kang Antique tuhoy sa Pangpamatan-un nga mga Lihuk), and KONAPABA (Konseho kang Antique tuhoy sa Pangpamatan-un nga mga Bagay). I particularly had a hard time choosing between KONAPLI and KONAPABA, and, later, after choosing the latter, between it and KABALAKA. There is a possibility that my choice of name for the council will not sit well with some of the council's members, so I included a provision in the bill which will enable the council to change its name; the provision basically states that the council may change its name upon the vote of at least 2/3 of all its members. In 1852, French writer Victor Hugo wrote, "An invasion of armies can be resisted, but not an idea whose time has come." 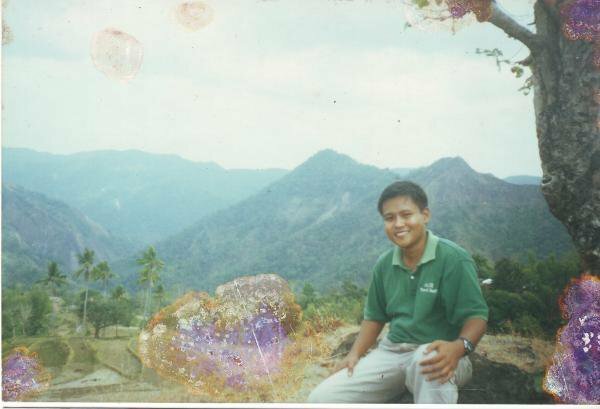 The KABALAKA is an idea that, in 2006, a few provincial government officials resisted, but I remained hopeful and kept on exerting efforts to hasten the coming of its time. This primer is the product of some of those efforts. 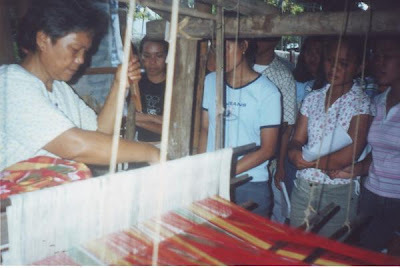 Also, this primer is a testament to my hope – an audacious kind of hope that is shared by numerous young Antiqueños – that in spite of the misconceptions of many politicians in Antique regarding some important developmental issues, enlightenment will eventually dawn in the province, and that the Antiqueño people will eventually have the kind of political consciousness that makes sustainable development easy to attain. 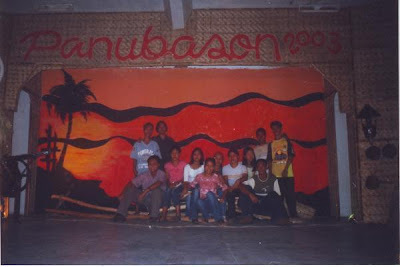 The essence of the KABALAKA is the participation of “the best, the brightest and the charming” among the Antiqueño youth in the formulation and implementation of youth-related projects of the provincial government, in the spirit of voluntarism and love for the province, in an atmosphere of appreciation for talent and hard work, and in the context of considerable financial support from the provincial government. The council will basically be an analog of the Naga City Council for Youth Affairs (NCCYA) and of the Provincial Youth Development Council (PYDC) of Negros Occidental. The NCCYA was established by the City Council of Naga, Camarines Sur through Ordinance No. 95-031, "an ordinance creating the Naga City Council for Youth Affairs, defining its composition, duties, functions and responsibilities". The ordinance was enacted on March 15, 1995. 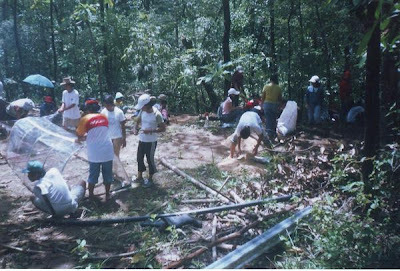 It was sponsored by Councilor Agapito Tria, and was approved by then Mayor Jesse M. Robredo who later became a recipient of the Ramon Magsaysay Award for Government Service and is now the secretary of the Department of Interior and Local Government. (The Ramon Magsaysay Award is given to outstanding Asians.) The ordinance was amended in 1999 by Ordinance No. 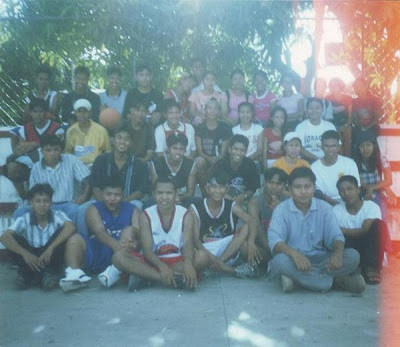 99-078 which was sponsored by SK City Federation President Yelanie G. Regmalos, and in 2002 by Ordinance 2002-080 which was sponsored by SK City Federation President Allen L. Reodanga. g. two representatives from the cross-sectoral youth sector. The NCCYA has 12 members in all. The sectoral representatives elect from among themselves the chairperson, the vice-chairperson, the secretary, and the treasurer. The NCCYA meets regularly every month on the date and time that is fixed by the chairperson. Special meetings may be called by the chairperson or by a majority of the members. The NCCYA holds its office at the Naga City Youth Center. 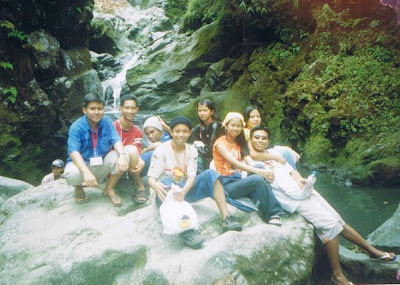 The PYDC of Negros Occidental was established in October 2005 through Executive Order No. 5-12 that was issued by then Governor Joseph G. Marañon. 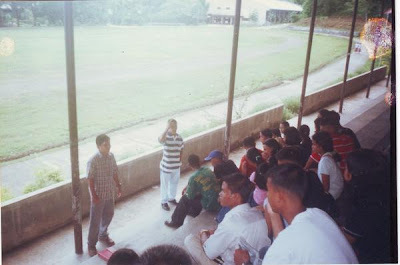 In the PYDC Primer, Governor Marañon stated in his message, "It has always been the vision of my administration to see that young Negrenses are able to organize and bind themselves for a common purpose to implement an Integrated Youth Development Program that will address the various issues and concerns affecting their sector. I am happy that this initiative is gaining ground, in collaboration with the Sangguniang Kabataan, non-government organizations, civic, Church, cultural and school-based organizations, local government units (LGUs), and other youth groups. Anchored on developing the moral, social and spiritual fiber of the youth, there is no doubt that PYDC will succeed in its mission and objectives to mainstream the agenda and voice of the youth sector in the formulation and implementation of government policies, programs and development toward their empowerment." 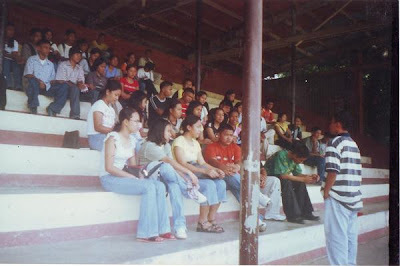 In the same primer, PYDC Chairperson Jose Maria Limsiaco stated in his message, "The plan for establishing PYDC as an umbrella organization of the existing youth groups in the province started during the 2005 Summer Peace Camp that was attended by more than a hundred youth participants from different groups in the province, including the Sangguniang Kabataan. 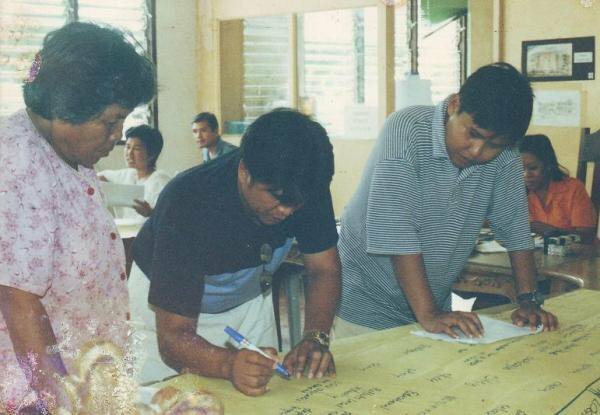 The peace camp served as the springboard for PYDC since it was there where we had the opportunity to draft our vision for Negros Occidental. 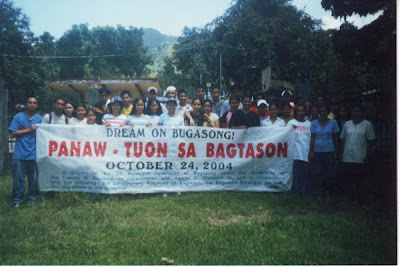 In July 2005, the province sponsored another assembly for us to validate our vision and introduced the concept of PYDC which we have adopted. This was followed by the team building and action planning workshops as well as a series of meetings until the Council of Youth Leaders (CYL), the core group of PYDC, has formulated its Constitution and Internal Rules. The need for the formation of the Local Youth Development Councils (LYDCs) was identified as the priority activity that should be implemented by PYDC to make it a dynamic and functional youth organization that can truly serve the interest of its members. In just a short time that we have bonded and volunteered together for PYDC I am amazed by the overwhelming response we got from all the PYDC member organizations. May our tribe continue to increase as we go on advocating for the empowerment of the youth sector." 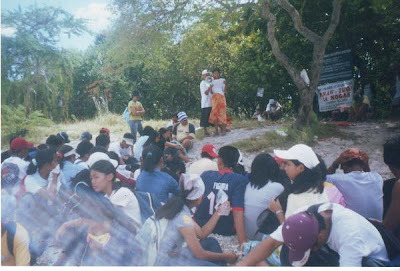 According to the same primer, the 2005 Summer Youth Peace Camp "was purposely organized to gather representatives of the youth sector to assess the current status of the Negrense youth, establish plans and endeavor for the implementation of programs that shall bring forth positive effects in every possible aspect to the youth of Negros. Thus, the vision and missions for the youth of Negros Occidental were established relative also to the formation of the Provincial Youth Development Council." m. a representative from rescue volunteers. The PYDC of Negros Occidental has 73 members in all, including the honorary chairperson and the honorary vice chairperson. h. a representative from rescue volunteers. The Council of Youth Leaders has 13 members in all. m. Lizsette Jane Villones, the rescue volunteers representative, as chairperson of the Committee on Livelihood and Entrepreneurship. The Council of Youth Leaders meets every third Saturday of the month. The Public Affairs Division of the Office of the Governor provides technical and secretariat support to the PYDC of Negros Occidental. The KABALAKA will not be a duplication of the SK provincial federation, be it with regard to composition, be it with regard to functions. The federation is composed of groups (SK municipal federations) that are represented by individuals who come from the at-least-15-but-not-yet-18 years age bracket. In comparison, the KABALAKA will be composed of individuals who come from the entire youth sector. “Youth” is defined in the bill as those people who are at least 13 but not yet 36 years old, and this definition is based on physiology, for at around the age of 13 years, a person enters puberty, and at around the age of 35 years, his or her biological vigor and physical performance begin to wane; in comparison, "youth" is defined by the NCCYA as those people who are 15 to 30 years old, and by the National Youth Council of Singapore as those people who are 15 to 35 years old. r. eleven other notable youngsters, including representatives from at least four Church-based youth organizations, who will also be appointed by the governor. The KABALAKA will have 125 members in all. Incidentally, the National Assembly of Quebec, Canada has the same number of members. There will be annual elections for the three representatives from each SK municipal federation, the 10 representatives from student governments of high schools, the five representatives from student governments of colleges in the province other than the units of the UA, the 10 representatives from college-based Antiqueño youth organizations outside the province, the 10 representatives from community-based youth organizations, the 10 youth representatives from community-based youth-serving organizations, the representative from the youth of the Ati ethnic group, and the representative from the youth of the Iraynun ethnic group. The student councils of the units of the UA will decide annually on whom to send as representatives to the KABALAKA. The search for the Lin-ay kang Antique is an annual event, or supposed to be so. The appointment of the "11 other notable youngsters" and of the chief executive officer will be made annually. And so except for the representatives from the 4-H Club - Antique Chapter and the PYAP - Antique Chapter who have multiple-year terms as the election of officers of each group is not held annually, all the members of the KABALAKA will always have relatively fresh mandates, unlike the representatives of the SK municipal federations to the SK provincial federation who are elected only once and have a term of three or more years. Like the SK provincial federation, the council will be a youth organization. But with regard to composition, the federation is like Cecon which is mainly Vitamin C; in comparison, the council will be like Centrum which is "complete from A to zinc". The federation is also like the North American Free Trade Agreement whose purpose is to promote free trade among Canada, the United States and Mexico; in comparison, the council will be like the Asia-Pacific Economic Cooperation whose purpose is to promote free trade among Canada, the United States, Mexico and 18 other Asia-Pacific economies. The SK is entitled to 10% of the internal revenue allotment (IRA) of the barangay, even if the KK does not constitute 10% of the barangay population. As it is said, to whom much is given, much is expected. And much is really expected from the SK; the entitlement to 10% of the IRA of the barangay entails responsibilities that are enumerated in the IRR of the Local Government Code of 1991. In comparison, the SK provincial federation is not entitled to even 1% of the IRA of the provincial government. To whom nothing is given, nothing is expected, and the SK provincial federation does not have the kind of congressionally mandated responsibilities that the SK has. The same can be said about the SK federations on other levels. With regard to responsibilities, the SK provincial federation is therefore not a provincial analog of the SK. A similar thing can be said about the SK federations on other levels. With regard to composition, the SK provincial federation is also not a provincial analog of the SK because while the SK is composed of individuals (the SK chairperson and the seven SK kagawads), the SK provincial federation is composed of groups (SK municipal federations), each of which is also composed of groups (SKs). However, with regard to legislation, the SK provincial federation is an analog of the SK, because the SK provincial federation president sits in the provincial legislature (SP) while the SK chairperson sits in the barangay legislature (barangay council). The SK provincial federation should discuss, among other things, matters relating to provincial legislation while the SK should discuss, among other things, matters relating to barangay legislation. Still with regard to legislation, the SK municipal federation and the SK city federation are also analogs of the SK, but the SK national federation is not. That is because the SK national federation president sits in the National Youth Commission – an agency that is under the Office of the President – and not in the national legislature (congress). And because he or she is not a member of the national legislature, the group that he or she presides over, the SK national federation, would accomplish basically nothing – except intellectual stimulation – by discussing matters relating to national legislation. g. exercise such others duties and functions as the SK National Federation or the SK National Executive Board may provide and direct. 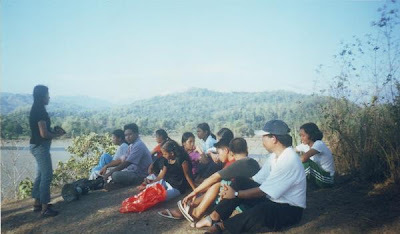 With the IRR of the Local Government Code of 1991 and the 2001 KK and SK Constitution and By-Laws as bases, one can conclude that the SK provincial federation is only about the KK members and SK officials (not about the entire youth sector), and is not duty-bound to formulate and implement youth-related projects of the provincial government. Under the present system, the governor may formulate and implement youth-related projects of the provincial government through various ways – through the SK provincial federation only (assuming that the federation is willing to act as a voluntary agent of the Office of the Governor), through a youth affairs officer, through different individuals who may include a youth affairs officer, through a group other than the federation, through different groups which may include the federation, through a youth affairs officer and the federation (like what happened when I was still part of the provincial government), through a youth affairs officer and a group other than the federation, through a youth affairs officer and different groups which may include the federation, through different individuals who may include a youth affairs officer and the federation, through different individuals who may include a youth affairs officer and a group other than the federation, or through different individuals who may include a youth affairs officer and different groups which may include the federation. The federation is not under the Office of the Governor. Unlike the provincial administrator, the provincial information officer, and the provincial legal officer who are appointed into office by the governor and are co-terminus with him or her, the SK chairpersons, who represent the SKs that comprise the SK municipal federations that in turn comprise the SK provincial federation, were elected into office and in fact have “Honorable” as a prefix to their names. The SK provincial federation is under the SK municipal federations, each of which is under the SKs, and each of which is under the KKs. The SK provincial federation is therefore indirectly under the KK members. With regard the SP and the provincial school board, the bodies in which the federation is represented as mandated by the Local Government Code of 1991, the federation should be independent from the governor and should concentrate on the articulation of the KK members' hopes and aspirations. Also, the federation should be free to criticize the governor and any other politician. The SK provincial federation is actually not part of the provincial government despite having a representative to the SP, just as the Philippine Councilors’ League (PCL) - Antique Chapter and the electorate of the South District are not part of the provincial government even though each of them is represented in the SP. The federation, because it is represented in the SP, is only related to the provincial government. The same can be said about the PCL - Antique Chapter and the electorate of the South District. (A democratic government is basically an agent of the people, and an agent is different from – although related to – the principal, just as the shadow of a person is different from – although related to – him or her, and just as a representative is different from – although related to – the one or the ones being represented.) There is no law or ordinance that obligates the SK provincial federation to formulate and implement youth-related projects of the provincial government. Therefore, the federation can not be held accountable for the provincial government’s program for the youth. In comparison, the KABALAKA will be under – although autonomous from – the Office of the Governor, in the same way that the UA Board of Regents is under – although autonomous from – the Commission on Higher Education (CHED), and in the same way that the Protected Area Management Board (PAMB) of the Sibalom Natural Park is under – although autonomous from – the Department of Environment and Natural Resources (DENR). (The KABALAKA may be under the Office of the Governor, but it should be noted that the governor derives his or her authority from – and is therefore under – the Antiqueño people. 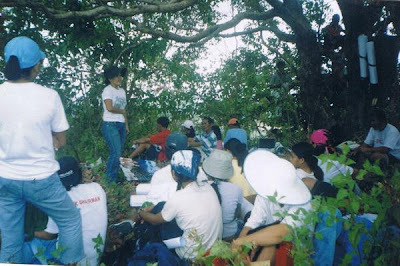 The UA Board of Regents may be under CHED, and the PAMB of the Sibalom Natural Park may be under DENR, but it should also be noted that both CHED and DENR derive their authority from – and are therefore under – the president, who in turn derives his or her authority from – and is therefore under – the Filipino people.) Because the council will be under the Office of the Governor, the council will be part of the provincial government. The council will have a regular meeting once in a quarter, and will determine the date, time and venue of the meeting. 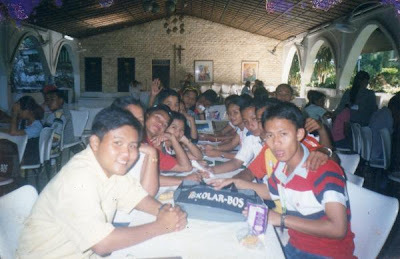 Similarly but incidentally, the Calapan City Youth Development Council in Oriental Mindoro has a meeting once in a quarter or as often as may be deemed necessary. The KABALAKA will be represented by one of its members, except the chief executive officer, in the meetings of the provincial development council. The male children among the members of the KABALAKA will elect from among themselves a representative to the provincial council for the protection of children. The female children among the members of the KABALAKA will do the same. The members of the council will serve as goodwill ambassadors of the province, with the Lin-ay kang Antique as the main goodwill ambassador, so they will be like the Sarong Kebaya-wearing flight stewardesses of Singapore Airlines who not only work as part of the cabin crew of the airlines but also serve as goodwill ambassadors of Singapore. In this sense alone, the council will be different from the other youth councils in the world. (There are many things that will make the council globally unique.) Incidentally, the United Nations Children's Fund (UNICEF) also has goodwill ambassadors. They are categorized into international goodwill ambassadors, regional goodwill ambassadors, and national goodwill ambassadors. UNICEF currently has 31 international goodwill ambassadors, including Orlando Bloom, Her Majesty Queen Rania of Jordan, Berliner Philharmoniker (Berlin Philharmonic), Shakira, Jackie Chan, David Beckham, Whoopi Goldberg, and Angelique Kidjo. A member of the KABALAKA, except the chief executive officer, may be removed from office upon the vote of at least 2/3 of all the members of the SP, including the vice governor. Unlike the SK provincial federation, the council will have explicit functions, and those functions are enumerated in the bill regarding the council. (The 2001 KK and SK Constitution and By-Laws, aside from being silent on the role of the federation with regard to the provincial government, is applicable only to KK and SK members, and its legal bearing is obscure, but a provincial ordinance is applicable to the entire province, and its legal bearing is recognized universally.) The council will be responsible for the provincial government’s youth developmental program. The council will be a group whose primary role is to promote the developmental interests of the entire youth sector, especially with regard to the formulation and implementation of youth-related projects of the provincial government. s. promote good spiritual health among the youth. With regard to functions, the SK provincial federation is like a walkie-talkie; in comparison, the KABALAKA will be like a cell phone that has 3G technology. Regarding institutional mechanisms, the KABALAKA will most likely be one of the best local youth development councils, if not the best local youth development council, in the world. Some local youth development councils can be likened to a Nokia 3315, some to a Nokia 1202, some to a Nokia 1280, some to a Nokia 1662, some to a Nokia 5250, and some to a Nokia 6300, while the KABALAKA can be likened to a Nokia N97. Nokia N97, by the way, has a full slide out keyboard and touch screen; displays up to 16.7 million colors; has 32 gigabyte internal memory; is capable of multi-media messaging service, e-mail, chat, and video calling; has a 5-megapixel camera that is capable of up to 4x digital zoom, captures 30 frames per second, and has a video clip length of up to 90 minutes; has a web browser with touch control, a music player that supports MP3, and an FM radio; has a global positioning system; has games; and connects with Bluetooth and WLAN. With regard to telecommunications, political officials don’t like to use a walkie-talkie. They prefer to use a cell phone, even if it costs more. Apparently, they want to avail of the best gadgets that they can get. Similarly, the people want to avail of the best kind of government that they can get. With regard to the formulation and implementation of youth-related projects of the provincial government, why should the people make do with a walkie-talkie if they can have a cell phone? And why should they settle for a Nokia 3315 or a Nokia 1202 or a Nokia 1280 or a Nokia 1662 or a Nokia 5250 or a Nokia 6300 if they can have a Nokia N97? The provincial government may be ordinary with regard to transparency (as of the date of this draft, the provincial government does not yet post the provincial ordinances on the internet), and the provincial hospital (also as of the date of this draft) may appear to have been neglected by the provincial officials, but if the KABALAKA will be established, the province will at least have the best local youth development council in the country and perhaps in the world. The KABALAKA will not replace the SK provincial federation. When the council is established, the federation will still be important with regard to provincial legislation, considering that the SK provincial federation president sits in the SP. The formulation and implementation of youth-related projects of the provincial government is not a congressionally mandated role of the federation (and there is no provincial ordinance on the role of the federation), so that role is not something that the council will take away from the federation. If it is true that you can not give what you do not have, it is also true that you can not take away from someone what he or she does not have. Now let me explain why the SK provincial federation, although beneficial to society, is not the collective voice of the Antiqueño youth. 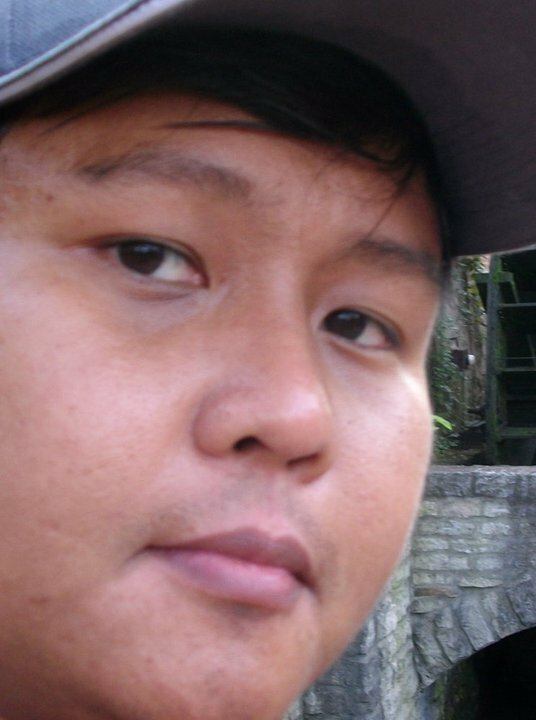 If you were the barangay captain of Camanggahan, you may say that you are the voice of Camanggahan. After all, you have the mandate of the people of Camanggahan. But you can not rightly say that you are the voice of Southeast Asia. Camanggahan is not even as big as Kota Kinabalu, the capital of Sabah, Malaysia. In the trade talks between the Association of Southeast Asian Nations (ASEAN) and the European Union, you can not speak on behalf of the ASEAN just because you are the barangay captain of Camanggahan. Now, if you can not rightly say that you are the voice of Southeast Asia, all the more that you can not rightly say that you are the voice of the Solar System, which consists of the sun, the Earth, the other planets, the moon, the satellites of the other planets, the asteroids, the comets, the meteoroids, and the interplanetary dust and gas. If you can not rightly say that you are the voice of the Solar System, all the more that you can not rightly say that you are the voice of the Milky Way Galaxy, the galaxy to which the Solar System belongs and which is estimated by scientists to have 200 to 400 billion stars. The Universe is estimated by scientists to have 100 to 200 billion galaxies. It is said that there actually are more stars in the Universe than there are grains of sand on earth. (God created all those stars, and all the other objects in space, and the earth, and all the plants and animals on it, and man and woman in a span of only 6 days. The Universe is a testament that He really is great and wonderful.) And perhaps the most ridiculous thing that you can say as the barangay captain of Camanggahan, Bugasong is that you are the voice of the Universe. Nevertheless, Camanggahan is a portion of the Universe. Of course, the astronomers at the National Aeronautics and Space Administration of the United States (US) may not yet know the galaxy to which Camanggahan belongs. Sa Andromeda Galaxy ayhan makita ang Camanggahan? Sa Cartwheel Galaxy? Sa Pinwheel Galaxy? Sa Sombrero Galaxy? Sa Sunflower Galaxy? Sa Tadpole Galaxy? Sa Whirlpool Galaxy? Also, those atronomers may not yet know the nature of Camanggahan. Sangka planeta ayhan ang Camanggahan? Sangka kometa? Sangka star? But whatever is the nature of Camanggahan, one thing is for sure: Camanggahan is somewhere out there, beneath the pale moonlight (when it is evening and the moon shines), and is a portion of the Universe. So if you are the barangay captain of Camanggahan, you are the voice of a portion – although just a relatively very tiny portion – of the Universe. But that does not mean that you are the voice of the Universe. Similarly, the mandate of the SK provincial federation came from the KK members only. The KK members, who are at least 15 but not yet 18 years old, comprise just a portion of the youth, or the people who are at least 13 but not yet 36 years old, so the SK provincial federation is the collective voice of just a portion of the youth, not the entire youth. A portion may be part of the whole, but a portion is different from the whole, and being trusted by a portion of a sector is different from being trusted by the whole sector. Even if the SK provincial federation collectively has the desire to articulate the hopes and aspirations of the Antiqueño youth, that desire is not enough reason to say that the federation collectively represents the Antiqueño youth. Representation is not just a question of desire. Representation is a question of both desire and consent. The people whom you want to represent should consent to have you as their representative. You can not represent the Lone District of Marinduque in the House of Representatives just because you want to. The people of that congressional district have to consent to have you as their representative. If representation were a mere question of desire, why stay in Ontario, Canada as a janitor if you can stay there as a senator from British Columbia? And why remain in Manhattan as a garbage collector if you can go to Washington, DC as a senator from New York? And if you get tired of representing New York in the US Senate, you can decide to represent California instead. You can even decide to be an ambassador to the United Nations (UN). What country to represent? Well, you have a lot of options. You can decide to represent Switzerland, which became a member of the UN in 2002 after a national referendum. And after working for one year as the Swiss ambassador to the UN, you can decide to be the Belgian ambassador to the UN. You can even decide to represent a different country every week. During your tenure as the Lebanese ambassador to the UN, you can deliver a speech accusing Syria of masterminding the assassination of Lebanese Prime Minister Rafiq al-Hariri, and the next week, as the Syrian ambassador to the UN, you can deliver a speech defending Syria against such an accusation. During your tenure as the Pakistani ambassador to the UN, you can explain why Kashmir belongs to Pakistan, and the next week, as the Indian Ambassador to the UN, you can explain why Kashmir belongs to India. If you happen to be a lady, you can even decide to represent Venezuela in the Miss Universe beauty pageant; never mind the “bilbil” if you have any, and never mind the would-be reaction of Venezuelan President Hugo Chavez; if you happen to be familiar to the elective officials of the provincial government and they happen to watch the pageant on television, they would most likely feel that Miss Venezuela looks familiar; daw nakita da run ang Miss Venezuela, hindi da lang garing matandaan kun sa diin da tana nakita. But representation is not something that you can impose upon others. Representation is also not something that you can impose upon inanimate objects. You can not represent the moon, even if you are the head of an office of the provincial government. 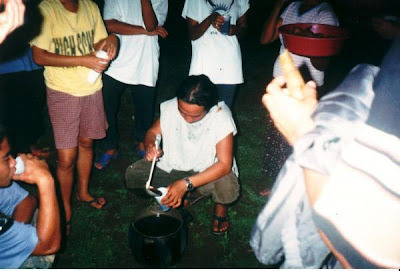 If you will attend the SK night of Magarang, Patnongon and pretend to speak on behalf of the moon while the full moon hovers above, the spectators would gaze once in while at the moon, and the effect would be eerie; they would feel that for the first time in their lives, they are hearing the sentiments of the moon. You also can not represent the sun. Had you travelled to Copenhagen, Denmark for the UN Climate Change Conference and pretended to speak on behalf of the sun, CNN and BBC World would have been bewildered. It should be stressed that SK elections are not open to the entire youth sector; they are exclusive to KK members, who comprise just a portion of the sector. The SK officials comprising the SK provincial federation can not represent the entire sector because most of the sector's members were not given the chance to either accept or reject them as prospective representatives. If you happen to be a septuagenarian and if the septuagenarians in the province will assemble and elect you as their representative, you can not rightly say that you are the voice of the senior citizens in the province because the term “senior citizens” refer to people who have reached the age of 60 years, and the election which you won was not open to sexagenarians, octogenarians, nonagenarians and centenarians; what you can rightly say is that you are the voice of a portion of the senior citizens’ sector in the province because septuagenarians comprise a portion of the sector. (All septuagenarians are senior citizens, even though not all senior citizens are septuagenarians). Again, representation is not something that you can impose upon others; the people whom you want to represent should consent to have you as their representative. And based on this principle, not even the KABALAKA will be the collective voice of the entire Antiqueño youth, considering that some Antiqueño youngsters do not belong to any of the groups that will be represented in the council. But the council can be said to be the would-be voice of nearly the entire Antiqueño youth because almost all the Antiqueño youngsters are part or can readily be part of at least 1 group that will be represented in the council. 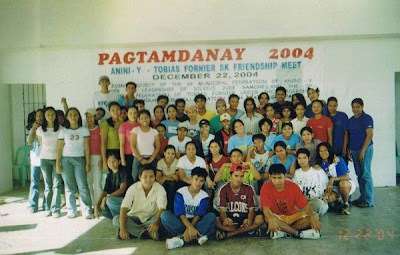 The SP may try to enact an ordinance mandating the SK provincial federation to formulate and implement youth-related projects of the provincial government, and appropriating funds for that purpose, thereby letting the federation have a dual role, as the collective voice of the KK members in the context of the SP and the provincial school board (the 2 bodies wherein the federation is represented as mandated by the Local Government Code of 1991), and as an agent of the Office of the Governor, but such an ordinance would be ridiculous because the federation is not something that was established by the SP; the federation was established by congress; congress is the one that should establish the role of the federation; of course, as a matter of common sense, the federation can do voluntary work for the provincial government, but the provincial government can not task the federation to do the work of the provincial government without the consent of the federation. (If the SP can force the federation to serve as an agent of the Office of the Governor, what will stop the SP from doing the same thing to the PCL - Antique Chapter, the provincial liga nga mga barangay, the mayors, and the vice mayors?) Such an ordinance would also be contradictory to the supposed independence of the federation from the governor with regard to the SP and the provincial school board; it would be awkward for the federation to publicly differ from the governor on legislative matters if he or she happens to be its principal on executive matters. If we want the SK provincial federation president, or, for that matter, our provincial legislators to have both legislative and executive functions, then perhaps we should promote the idea of having a parliamentary set-up at the provincial level, just like in the autonomous region of Aosta Valley, Italy; in the autonomous communities of Spain; and in the provinces of Canada. (All of those places are economically better than Antique.) But if we prefer our present set-up wherein the provincial chief executive is directly elected by the people, then we should bear in mind that there is supposed to be a separation of powers between the executive branch and the legislative branch of the provincial government, and that provincial legislators like the SK provincial federation president should concentrate on legislation; if we judge our provincial legislators based on the projects that they are able to implement on behalf of the Office of the Governor, we can not reasonably expect them to make our provincial system conducive to development, because they would naturally tend to focus more on the projects and less on legislation. The SP can pass a resolution conferring upon the SK provincial federation the status of a favored NGO, and granting the federation funds for the purpose of formulating and implementing youth-related projects, in the same way that the New York City Government is relying on the Central Park Conservancy with regard to the management of Central Park. (The conservancy manages the park under a contract with the New York City Department of Parks and Recreation.) But with regard to the promotion of youth welfare, it is a lot better to establish the KABALAKA than to partner with the federation. Firstly, people for whom developmental goals are set should have participation in the goal-setting process; in his book about change, “Future Shock”, Alvin Toffler argued that because of the increasing rate of change in society, goals that are set without the participation of those affected will be increasingly hard to execute; incidentally, the SK provincial federation has the mandate of only a portion of the youth sector, so with regard to the setting of goals for that sector, the federation can not provide the comprehensive youth participation that the council will be able to provide. Secondly, the federation does not have the kind of intellectual capital that the council will have; the federation, though technically comprised of SK municipal federations, actually acts as a group of 19 individuals -- the SK provincial federation president and the representatives from the 18 SK municipal federations -- while the council will act as a group of 125 remarkable individuals, including the Lin-ay kang Antique, the 4 runners-up in the search for the Lin-ay kang Antique, and the student council representatives from the 5 units of the UA; the presence alone of those 10 people will ensure that the council will be a dynamic group; the council will truly be a gathering of "the best, the brightest, and the charming" among the Antiqueño youth; the council will infuse into the provincial government additional intellectual capital. Now what is intellectual capital? Intellectual capital is the sum of the intangible assets of an organization. Intellectual capital can be categorized into market-assets, human-centered assets, intellectual property assets, and infrastructure assets. Human-centered assets refer to the talents, skills, abilities, technical knowledge, expertise and experience of the members of an organization. The talent of Bill Gates is a human-centered asset of Microsoft. Had Hollywood relied solely on the home-grown human-centered assets of California, Hollywood would have lost its sparkle a long time ago. Greta Garbo was from Stockholm, Sweden; Sophia Loren is from Rome, Italy; Elvis Presley was from Tupelo, Mississippi; Arnold Schwarzenegger is from Thal, Austria; Michael Jackson was from Gary, Indiana; Celine Dion is from Charlemagne, Quebec, Canada; Penelope Cruz is from Alcobendas, Community of Madrid, Spain; Shakira is from Barranquilla, Atlantico, Colombia. With regard to the Dubai Marina, the officials of the Dubai Municipality employed additional human-centered assets by conducting an international design competition; the winning entry came from HOK Canada, Inc. Intellectual property assets refer to trade marks, trade secrets, copyrights, and various favorable agreements like licensing. “Milo, the Olympic energy drink” is an intellectual property asset of Nestle. “Connecting people” is an intellectual property asset of Nokia. "Mediterranean as it once was" is an intellectual property asset of Croatia. The Binirayan Festival logo is an intellectual property asset of the Binirayan Foundation. Infrastructure assets refer to methodologies, organizational culture, financial processes, management schemes, databases of information, and communication systems such as websites. The cooperative scheme that is used in managing Bryant Park is an infrastructure asset of the Bryant Park Corporation, the NGO that manages the park under a contract with the New York City Department of Parks and Recreation. (While the Central Park Conservancy relies on the New York City Government for 15% of its annual budget, the Bryant Park Corporation is self-sufficient.) The operational procedures of the LIPASECU Bay-wide Mangement Council (involving Libertad, Pandan, Sebaste and Culasi) are part of its infrastructure assets. The SP can refuse to establish the KABALAKA and instead just wait for the time that a KABALAKA-like NGO (with representatives from the entire youth sector and not just from the at-least-15-but-not-yet-18 years age bracket) is established, and then appropriate funds for that NGO with regard to the formulation and implementation of youth-related projects, like what is done in Victoria, Australia. (The Youth Affairs Council of Victoria gets its funding from the Office for Youth which is under the Department of Planning and Community Development of the State Government of Victoria.) But such a scheme, if adopted by the provincial government, will be hardly sustainable because the appropriation will not be automatic and will be too dependent on the discretion of the governor. (As of the writing of this draft, the political officials of Antique are generally not as responsible and circumspective as their counterparts in prosperous countries.) 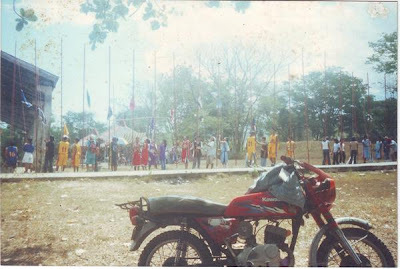 Compared to having such a scheme, establishing the KABALAKA is a lot better because the governor will be duty-bound to annually set aside a portion of 20% of the IRA of the province for a council that makes possible the particpation of "the best, the brightest, and the charming" among the Antiqueño youth in the formulation and implementation of youth-related projects of the provincial government. The KABALAKA will have an executive committee that will function under the supervision of the council. f. 11 representatives from (or around 19% of) the 59 other members of the council (the representative from the UA Caluya Student Council, the representative from the UA Libertad Student Council, the representative from the UA Tario-Lim-Ruiz Student Council, the representative from the UA Sibalom Student Council, the representative from the UA Hamtic Student Council, the 5 representatives from student governments of colleges in the province other than the units of the UA, the 10 representatives from college-based Antiqueño youth organizations outside the province, the 10 representatives from community-based youth organizations, the 10 youth representatives from community-based youth-serving organizations, the representative from the PYAP - Antique Chapter, the representative from the 4-H Club - Antique Chapter, the Lin-ay Kang Antique and the 4 runners-up in the search for the Lin-ay Kang Antique, and the "11 other notable youngsters"). The executive committee will have 25 members in all. 25 is 20% of 125, and incidentally, it is often said regarding organizational management that 20% of an organization usually does 80% of the work. Also incidentally, the executive committee’s composition is similar to that of the executive board of the Los Angeles Youth Council (LAYC). The executive board of the LAYC is composed of several youngsters who are elected by the LAYC members from among themselves, and a youth commissioner who is appointed by the mayor of Los Angeles, California, so if the executive committee of the KABALAKA has one member who is in the committee by virtue of an appointment from the governor of Antique, the executive board of the LAYC has one member who is in the board by virtue of an appointment from the mayor of Los Angeles. Still incidentally, the KABALAKA and the LAYC both have previous versions. The KABALAKA is actually a much-improved version of the Gubernatorial Committee on Youth Affairs which I conceptualized in 2005. The committee would have been composed entirely of gubernatorial appointees – the Youth Affairs Officer of the Office of the Governor and some notable youngsters. The proposal for the establishment of the committee consisted of several pages, but before I could present the proposal to the governor, I came to the conclusion that, compared to a gubernatorial committee whose members are entirely appointed by the governor, a provincial youth council whose members are mostly chosen by youngsters themselves would be much better, especially in terms of encouraging the voluntary involvement of the youth in making Antique a better place in which to live. The LAYC, on the other hand, started as the Mayor’s Youth Advisory Board which was established in 1973 by Mayor Tom Bradley (in whose honor one of the terminals at the Los Angeles International Airport was named). The LAYC is a quasi-analog of the KABALAKA. The LAYC members serve as advocates of the youth of Los Angeles by promoting existing city government-sponsored programs, identifying the need for new programs and activities, and securing the involvement of young people in the city’s governmental processes. As representatives of young people in the city and the link between them and city officials, LAYC members have the opportunity and responsibility to bring forth the needs of the youth and the city government’s response to those needs. The LAYC serves as a leadership, youth development, and community empowerment opportunity for its members and other youngsters in the city. LAYC members engage in various activities, from community development to developing policy recommendations about key issues that affect the youth of the city. The executive committee of the KABALAKA will have a regular meeting twice in a quarter, and will determine the date, time and venue of the meeting. c. manage the trust fund of the council. The KABALAKA will have four chairpersons in a year, one for every quarter. Because 54 (or 43.2%) of the 125 members of the council will be SK chairpersons, a maximum of two SK chairpersons can become chairpersons of the council in a year. The members of the council, except the chief executive officer, are the ones who will elect the chairperson. They will elect him or her from among the members of the executive committee, again except the chief executive officer. c. act as the main representative of the council, and sign contracts on behalf of the council after being duly authorized by it to do so. Similarly but incidentally, the Maine Legislative Youth Advisory Council is required to report twice a year to the legislature of Maine. The KABALAKA will have a secretariat that will function under the supervision of the executive committee. The secretariat will have the following regular members: the chief executive officer as head, the executive officer for internal affairs, and the executive officer for external affairs. The representative (or the representatives when the province is divided into more than 1 congressional district), the governor, the vice governor, and any other head of government office may, upon the consent of the executive committee, augment the secretariat by assigning an employee or employees to it, either on a part-time or full-time basis. An augmentative member of the secretariat may be dismissed by the executive committee. The secretariat, or any person who is part of it, may be invited for an inquiry by the SP, and may accept the invitation without the permission of the governor. During such an inquiry, the SP may grill the secretariat or anyone who is part of the secretariat the way the US Senate grilled John Roberts during the confirmation hearings with regard to his nomination as chief justice of the US Supreme Court. Or the SP can grill the secretariat or anyone who is part of the secretariat the way the US Senate grilled Condoleezza Rice (during her stint as US national security adviser) with regard to the alleged weapons of mass destruction in Iraq. There should be world-class transparency – yes, world-class transparency – with regard to the actions of the secretariat. The regular members of the secretariat will have contractual positions. The regular members of the secretariat will each receive a monthly honorarium. The chief executive officer will have a monthly honorarium that will be equal to the monthly salary of an employee who has a salary grade of 16. The monthly honorarium of the executive officer for internal affairs and that of the executive officer for external affairs will each be equal to the monthly salary of an employee who has a salary grade of 12. The regular members of the secretariat will each have a term of one year, and will each have a maximum of three consecutive terms; if any of them fails to finish a term or is removed from office, the non-completion of the term will not be considered as an interruption with regard to the three-consecutive-term limit. The regular members of the secretariat will be appointed by the governor upon – and only upon – the recommendation of the executive committee, in order to ensure that the regular members of the secretariat are acceptable not just to the governor but also to most of the members of the KABALAKA, otherwise, the council’s performance will be affected. The selection process for the persons to be recommended will be decided upon by the members of the council except the chief executive officer. The first regular members of the secretariat will be appointed by the governor from among the persons who will be recommended by SK chairpersons. A regular member of the secretariat can be removed from office upon the vote of at least 2/3 of all the members of the council except the chief executive officer. s. perform such other functions as the council may deem necessary. b. act on matters which the executive committee refers to him or her and those in which the executive committee is silent. b. cooperate with the chief executive officer and the executive officer for external affairs with regard to the functions of the secretariat. b. cooperate with the chief executive officer and the executive officer for internal affairs with regard to the functions of the secretariat. d. Monitoring Team on the SP, which will monitor the important activities of the people who compose the SP. No one among the gubernatorial appointees in the KABALAKA – the chief executive officer and the "11 other notable youngsters" – will be allowed to be part of any of the above-mentioned monitoring teams. The council may organize other monitoring teams that it may deem necessary. The council may confer honorary membership upon a person. An honorary member may be 36 years old or older and may be invited by the council to attend meetings and other activities of the council. An honorary member may participate in the deliberations during meetings of the council but will not be allowed to take part in the voting to arrive at a decision of the council. d. program, under which shall be listed the projects and activities of the council for the ensuing year based on the one-year term goals. The program will have two components, the provincial government appropriation component and the trust fund component. The provincial government appropriation component will contain the projects and activities that will be funded using the appropriation from the provincial government. The trust fund component will contain the projects and activities of the KABALAKA that will be funded using the trust fund of the council. In the council’s first year of existence, the council will formulate the program for the year and another one for the ensuing year. Each project of the council will be implemented by a project management group, and each task of the council will be performed by a task force. Each project management group and each task force will be led by a member of the council. Non-members of the council may become members of a project management group or a task force upon the approval of the executive committee. The responsibilities of each project management group and each task force will be determined by the executive committee. A project may be packaged as a project of the KABALAKA in cooperation with another entity or other entities if the other entity or each of the other entities agrees to contribute resources – be it human or financial – that equal to less than 50% of the minimum possible cost of the project as estimated by the council. The chairperson of the project management group will be duly acknowledged in the council's press releases and public announcements regarding the project. A project may be packaged as a joint project of the KABALAKA and another entity or other entities if the other entity or each of the other entities agrees to contribute resources – be it human or financial – that equal to at least 50% but less than 80% of the minimum possible cost of the project as estimated by the council. The chairperson of the project management group – or the project manager if another entity is managing the project through a project manager – will be duly acknowledged in the council's press releases and public announcements regarding the project. A project may be packaged as a project of another entity or a joint project of other entities in cooperation with the council if the other entity or the other entities as a group agrees to contribute resources – be it human or financial – that equal to at least 80% of the minimum possible cost of the project as estimated by the council. The chairperson of the project management group – or the project manager if another entity is managing the project through a project manager – will be duly acknowledged in the council"s press releases and public announcements regarding the project. There will be an advisory committee whose purpose is to give advice to the council on important matters, especially with regard to the plan of the council. y. 10 other people whom will be chosen by the council. The advisory committee will have 35 members in all (or more than 35 members when the province is divided into more than 1 congressional district). The term of the "10 other people" will be for 1 year and may be renewed. The advisory committee will have a regular meeting with the executive committee once in a year; the date, time and venue of the meeting will be determined by the executive committee upon consultation with the members of the advisory committee. The KABALAKA will have an annual appropriation of at least 2% of 20% of the IRA of the province. During its first year of existence, the council will have its appropriation from the unexpended funds of the province, and may have an appropriation of less than 2% of 20% of the IRA of the province if there are budgetary constraints. As of 2006, the IRA of the province was P371,811,901.00. 20% of that amount is P74,362,380.00, 2% of which is P1,487,247.60, so if the IRA of the province will be the same by the time the council is established, and if there will be no budgetary constraints by then, the council will initially have an appropriation of P1,487,247.60. In comparison, the PYDC of Bohol (an analog of the KABALAKA) has an annual appropriation of 1 million pesos. The budget for the operations of the KABALAKA will include the traveling allowances of the members, the honoraria of the regular members of the secretariat, and allocations for food and drinks during meetings. Similarly but incidentally, the City of Edmonton Youth Council in Canada shoulders the official transportation expenses of its members by giving them bus tickets. The maximum percentage of the annual appropriation that the KABALAKA can budget for its operations will be 45%. This means that at least 55% of the appropriation of the council will be reserved for the council's projects. The trust fund of the council will be a fund that will be the depository of all financial donations to the council. Unlike the appropriation from the IRA of the provincial government, the trust fund will be used exclusively for projects of the council. The council will encourage the youth to promote environmental protection, especially biodiversity conservation; to help protect and to promote the cultural heritage of the province, especially the linguistic aspect of that heritage, and to strive for proficiency in English in the context of globalization; to promote the province as a tourist destination; to promote the well-being of those who are not yet thirteen (13) years old, and even of those who are still unborn; to respect and to take good care of the elderly; to have a healthy lifestyle; to engage in wholesome activities regarding music and other arts; to have the kind of qualities that can redound to the prosperity of the province, like diligence, efficiency and proactiveness; and to do well whatever they do. Each project of the council will be worded in Kinaray-a. The council will adopt a logo, a theme song, a design for the uniform of its members, and an annually updated marketing plan with regard to its image as an executive body. The theme song will be in Kinaray-a, with versions in Caluyanun, Inati and Ligbok. The secretariat will be responsible for the registration of the intellectual properties of the council. The secretariat will undertake a quarterly intellectual capital audit of the council. The council will have an office. The office will serve not just as the headquarters of the council but also as a one-stop center for youth-related developmental matters. The council will also have satellite offices in different parts of the province. The council will have at least one official laptop. The laptop or at least one of the laptops will have access to the internet. The KABALAKA will have an official e-mail address. The council may allow a physically absent person to speak to it via the internet. The council will have at least one official cellular phone. The cellular phone or cellular phones will be of the kind that can transmit a live video. The KABALAKA may allow a physically absent person to speak to it via the cellular phone. The secretariat will send, through text messaging, a weekly report to the members of the council on matters that are relevant to the functions of the council, and, through e-mail, a monthly report to the same people on the same subject. The council will establish and maintain its own website. Among other significant things, the names of benefactors, the corresponding contributions, the amount of provincial government allocations, and the expenses of the council will be posted on the website. The council should have world-class transparency with regard to financial matters in order to make it very hard for members of the secretariat to commit graft, and to encourage a lot of Antiqueños, especially the overseas ones, to assist the council. Institutions that hesitate to be transparent do not have the moral ascendancy to request financial support from people and from other institutions. Of course, the provincial government as a whole does not yet have world-class transparency, but the KABALAKA, which will be part of the provincial government, will be a beacon of hope in the province. 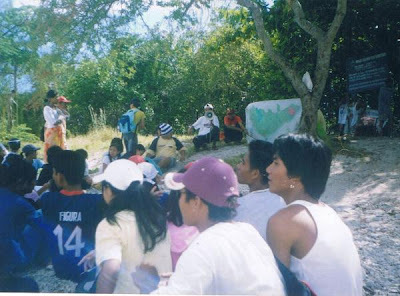 Aside from council's website, the council will disseminate developmental information among the Antiqueño people, especially the Antiqueño youth, by registering as part of 3 provincially popular networking utilities on the internet, by having a radio program and a newsletter, by coordinating with cable television providers for the purpose of disseminating important youth-related information through television, and by putting up information boards in schools. The council will prepare information materials on important youth-related matters, and will disseminate the materials, especially among schools through those information boards. 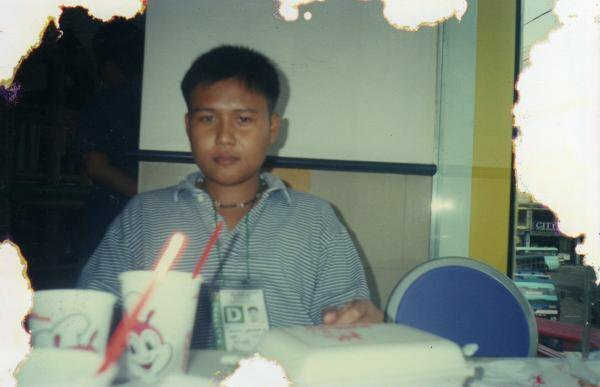 Incidentally, the PYDC of Nueva Ecija (an analog of the KABALAKA), has a Friendster site and a Facebook site. Also incidentally, the National Youth Council of Ireland has a monthly e-newsletter named Clár na nÓg. The KABALAKA will find ways to uplift the quality of education in the province. The council will provide scholarships to financially inconvenienced but intellectually significant youngsters. Members of the council will be ineligible to avail of the scholarships, but intellectually significant former members who are financially inconvenienced will be prioritized in the selection of scholars; this is an application of the principle that talent and hard work should be rewarded, as espoused by Former British Prime Minister Margaret Thatcher. Financially inconvenienced but intellectually significant members of the council who are interested to participate in the provincial government internship program will be prioritized in the selection of interns; this is another application of the same principle. The council will assist the youth on matters that are related to employment. The chief executive officer will represent the council in the provincial child-friendly movement team. A meeting of the council or of the executive committee will start with a doxology, the singing of the national anthem, and the singing of the provincial theme song. The council and the executive committee will sing the Millennium Development Goals Theme Song for the Philippines, “Tayo-tayo Rin” during meetings at least until 2015. And at least until the same year, the song will be played over the sound system, if there is any, before and after the activities of the council. After the proposed provincial ordinance establishing the council is filed, its title will be mentioned during the plenary session of the SP and then referred to the SP Committee on Sports and Youth Development which is headed by the SK provincial federation president. The SP will tackle the proposed provincial ordinance in a plenary session after the head of the committee has made a report on it. If the head of the committee fails or refuses to make a report on the proposed provincial ordinance, it can be taken out of the committee for discussion in a plenary session of the SP only upon the demand of at least 2/3 of all the SP members. The proposed provincial ordinance, if enacted, will be translated to Kinaray-a, Caluyanun, Inati and Ligbok, in line with the Universal Declaration of Linguistic Rights (also known as the Barcelona Declaration). About a month after the bill has been filed, I will write an article about the stand of each SP member with regard to it. A provincial ordinance is basically a policy that the people of a province, through their representatives (the SP members), agree to set upon themselves. There is no such thing as a generally unacceptable law or ordinance in a democracy, because a law or an ordinance is basically a reflection of the general will of the people. If a seemingly bad law (like the law on the Expanded Value Added Tax) stays, that is because the people tolerate it. The people can actually repeal a law or an ordinance through people's initiative. People's initiative is mentioned in the constitution, and Congress has passed an enabling law with regard to people's initiative as a means of repealing or enacting a law or an ordinance, although based on a Supreme Court decision, Congress has yet to pass an enabling law with regard to people's initiative as a mode of changing the constitution. The people can change the constitution by refusing to vote for senatorial and congressional candidates who are unwilling to push for charter change. The point here is that all laws, including the constitution, are basically reflections of the general will, or at least of what the people have chosen to tolerate. 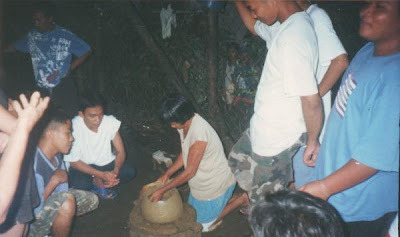 And legislators – senators, representatives, SP members, SB members and barangay kagawads – are basically spokespersons of the people on different levels; some, if not many, of those supposed spokespersons may not be advancing the interests of their constituents at all, but at least their constituents have chosen them, and in the case of local legislators, at least their constituents are tolerating them by not subjecting them to a recall election. An SP member is basically a representative of the people in his or her district with regard to provincial legislation, and if he or she refuses to articulate the hopes and aspirations of the people in his or her district, those people have the right to replace him or her. And in determining whether an SP member is articulating the hopes and aspirations of the people in his or her district, his or her legislative record should be examined, just like what is usually done in the US. In this regard, Antiqueños should know who among the SP members support the proposed establishment of the KABALAKA, and who among the SP members do not, in case there are any. I will not be a member of the KABALAKA, but I have promoted its establishment because I love Antique and am concerned about the Antiqueño youth. I believe that the social benefits of establishing the council far outweigh the financial cost. The council will infuse into the provincial government additional intellectual capital which will eventually result to a better brand of provincial governance, and a better brand of provincial governance in turn will eventually result to a better quality of life in Antique. 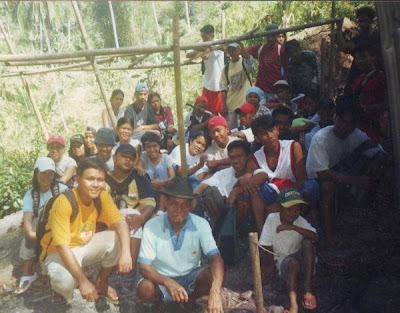 The Antiqueño youngsters comprise 1/3 of the population of the province, so they are part of the reason why the provincial government exists. Attending to the welfare of the Antiqueño youth is not an option of the provincial government; it is an obligation. And not only is it an obligation; it is also a very rewarding endeavor, for the future of Antique lies in the hands of the Antiqueño youth. Some adults don’t care if the allocation for the youth sector in the provincial budget is meager; they don’t care if there is very little youth participation in the formulation and implementation of youth-related projects of the provincial government; they don't care if a lot of youngsters need guidance in looking for employment. Perhaps those adults think that the provincial government is doing enough for the youth; perhaps they think that the SK provincial federation is the voice of the entire youth and is the one that should worry about youth well-being; perhaps they are just too preoccupied with the promotion of their self interests and think that bothering about youth affairs is a sacrifice that is not worth their time. But I keep on promoting the establishment of the KABALAKA because in spite of everything, I still believe that the Antiqueño youth is worth sacrificing for. Note: The first draft of this primer was written in June 2009 in Sibalom, Antique, and was rewritten many times. This final draft was written on November 15, 2011 in Makati, Metro Manila; the penultimate and antepenultimate drafts were written in the same area but at different computer shops, respectively on November 13 and 11, 2011. The 4th-to-the-last draft was written on February 26, 2011 in Taguig, Metro Manila and was a modification of the draft that had been written on January 27, 2011 in Makati, Metro Manila. It was during the early part of February 2011 when I decided to include in the KABALAKA a representative from the youth of the Iraynun ethnic group, and I modified the January 27, 2011 draft by explaining the concept of affirmative action and by mentioning the Ati ethnic group, the Iraynun ethnic group, the indigenous languages in Antique, and the Universal Declaration of Linguistic Rights. I merely edited the January 27, 2011 post because deleting it and posting another draft of the primer would also delete the heart-warming comment that was made by a former member of the Council of Youth Leaders (basically the executive committee) of the PYDC of Negros Occidental. The antepenultimate draft, the penultimate draft, and this one do not contain substantial refinements, only stylistic ones. Questions regarding the KABALAKA may be sent to me through the following e-mail address: gats_grasparil@yahoo.com. To serve for the sake of the future of others specially the young one is a divine obligation. Best regard and more power to KABALAKA. As one of the PYDC-CYL i know the heavy responsibility you are carrying to push the common-good and giving hope to those who are hopeless. KUDOS to you all! At "Central" (Sibalom Elementary School which is located at the back of our home) during a visit. 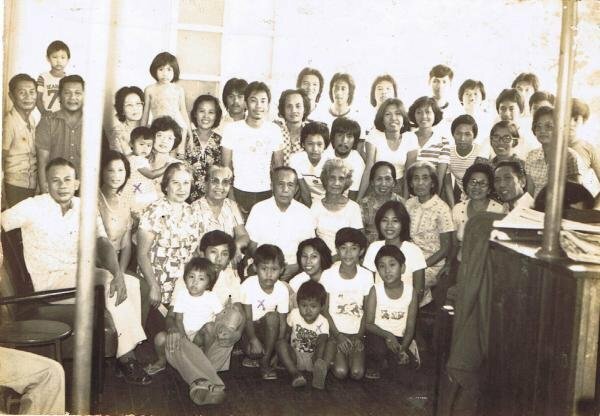 On the floor of the residence of two grandaunts (Aurora Alera Lotilla and Emilia Alera Lotilla) in Takas, Sibalom during a reunion of the Lotilla Family in the 1970's. 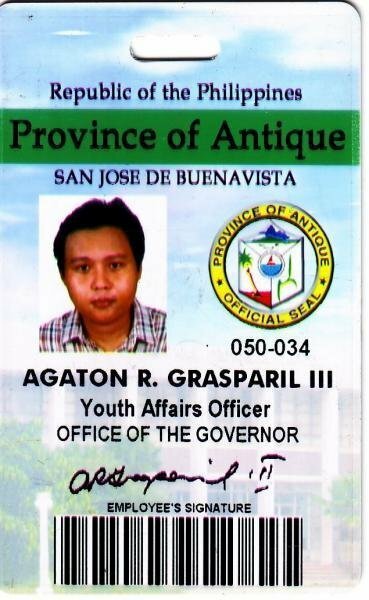 ID card as an employee of the Provincial Government of Antique. 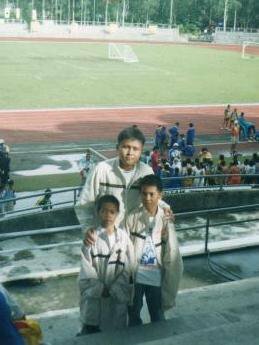 At the Panaad Stadium in Bacolod City, Negros Occidental as the coach of the two athletes in the picture -- Michael P. Pagapulan Jr. (left) and Benjamen B. Evardone Jr. -- who were the delegates of Antique in chess in the 3rd Batang Pinoy. 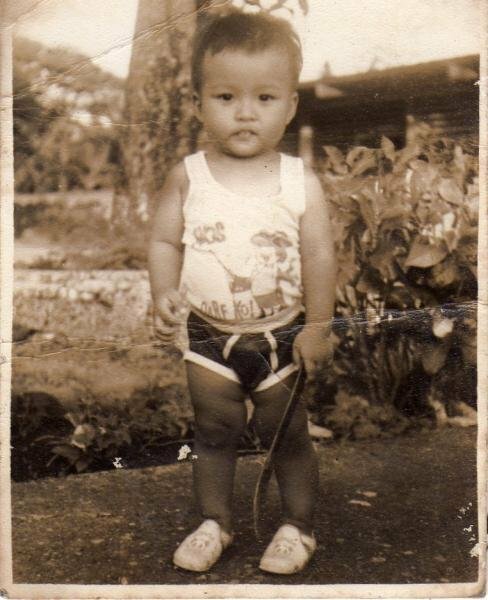 Benjamen later became the SK chairperson of Cubay Napultan, Sibalom. In Bacolod City, Negros Occidental regarding the 3rd Batang Pinoy. At the Sibalom SB Session Hall during a workshop of the PAMB of the Sibalom Natural Park. 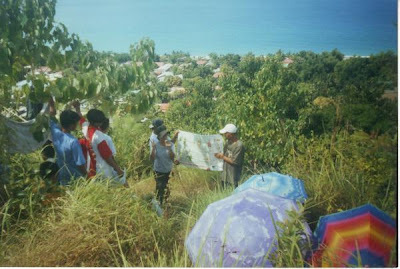 Somewhere in Barangay Bululacao, Sibalom during an educational campaign on environmental matters which I and several other PAMB members of the Sibalom Natural Park conducted. 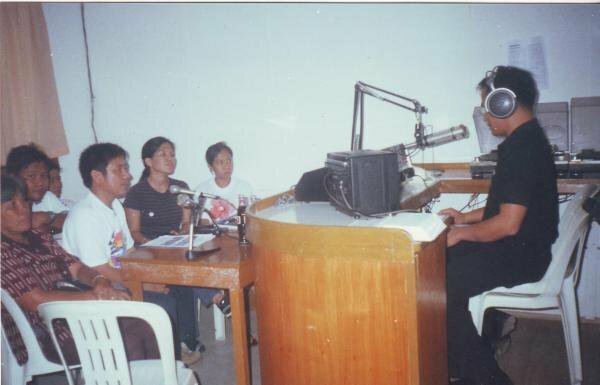 At DYKA with a few fellow PAMB members of the Sibalom Natural Park, the Protected Area Superintendent of the park, and a representative of Haribon during a radio program that was hosted by the station manager, Father Edione R. Febrero. At Mt. Balutinaw, Sibalom during a television interview that was conducted by GMA's Extra! Extra! regarding the giant flower, Rafflesia speciosa. 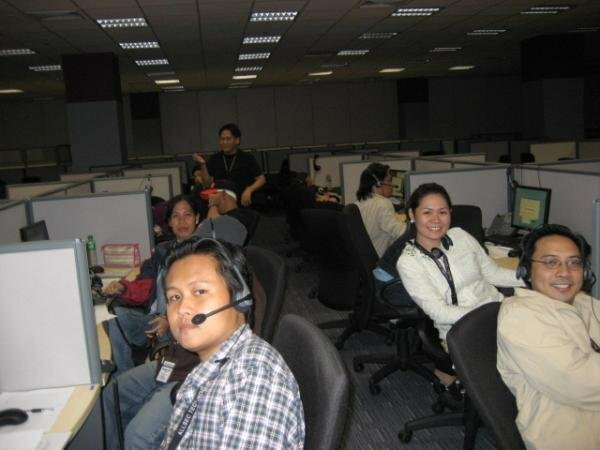 At Allsectech, an international call center at Market! Market!, Bonifacio Global City, Taguig, Metro Manila. 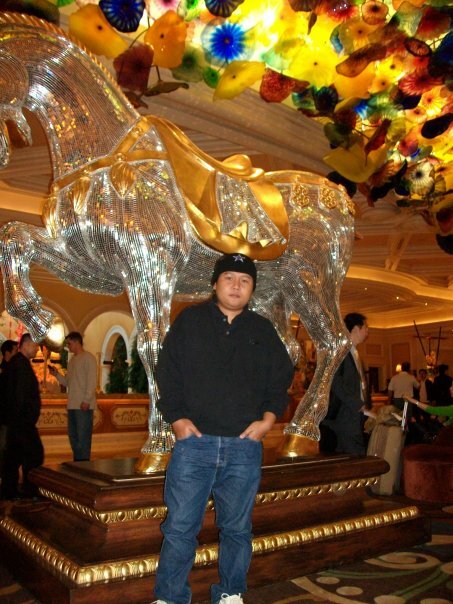 At Ceasars Palace, a hotel in Las Vegas, Nevada. 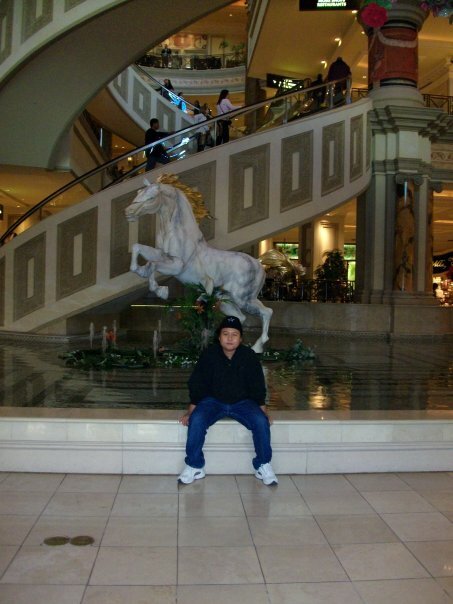 At Bellagio, another hotel in Las Vegas, Nevada. This hotel was the setting of the movie, "Ocean's Eleven". 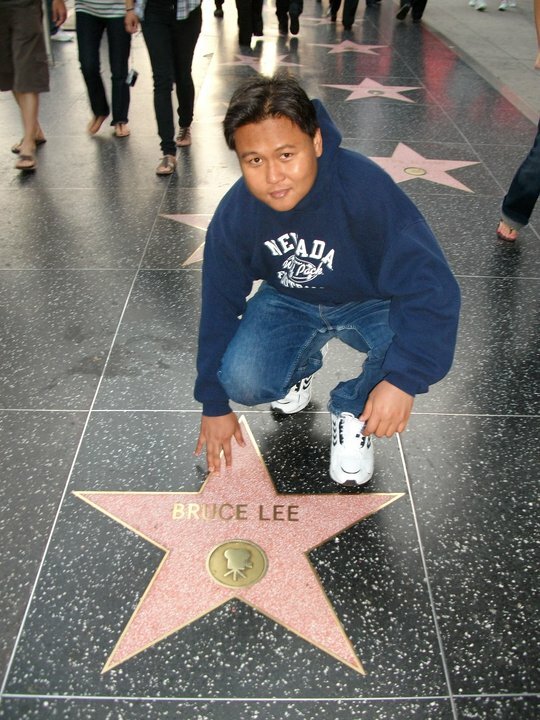 At the Hollywood Walk of Fame in Los Angeles, California. With the wax figure of Marilyn Monroe in Hollywood, Los Angeles, California. 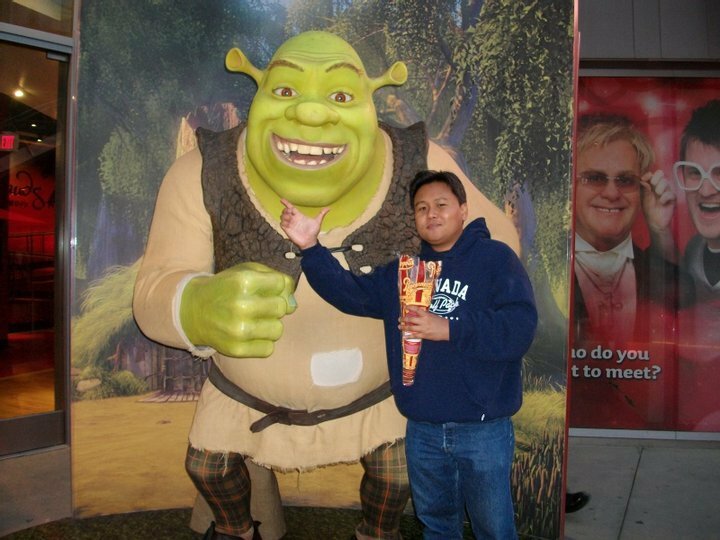 With the wax figure of Shrek in Hollywood, Los Angeles, California. At the AT&T Plaza at the Millennium Park in Chicago, Illinois. 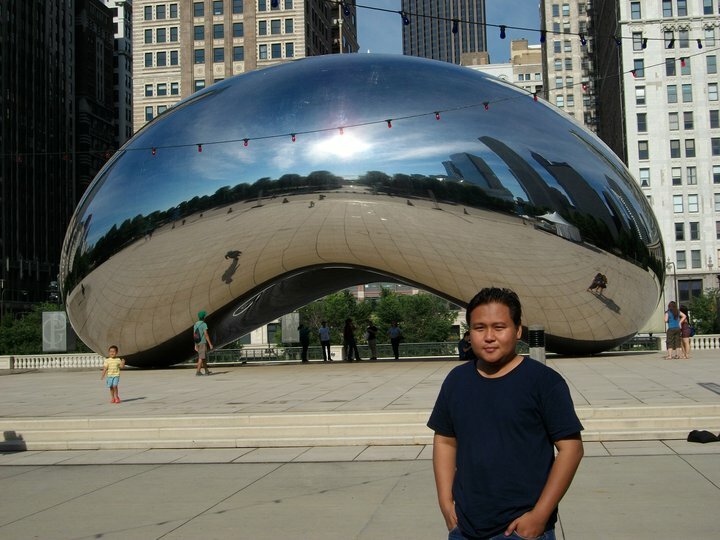 At the background is Cloud Gate, a sculpture that was designed by Anish Kapoor who was born in Mumbai, India and eventually migrated to London. 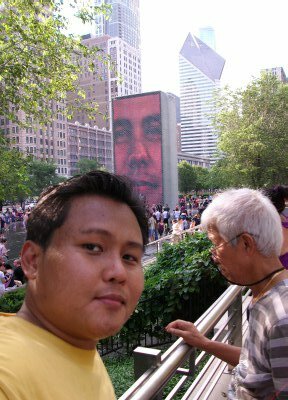 With Uncle Valentin E. Grasparil Jr. at the Millennium Park in Chicago, Illinois. At the background is one of the two 50-foot tall glass brick towers of Crown Fountain, a work of art that was designed by Jaume Plensa of Catalonia, Spain. 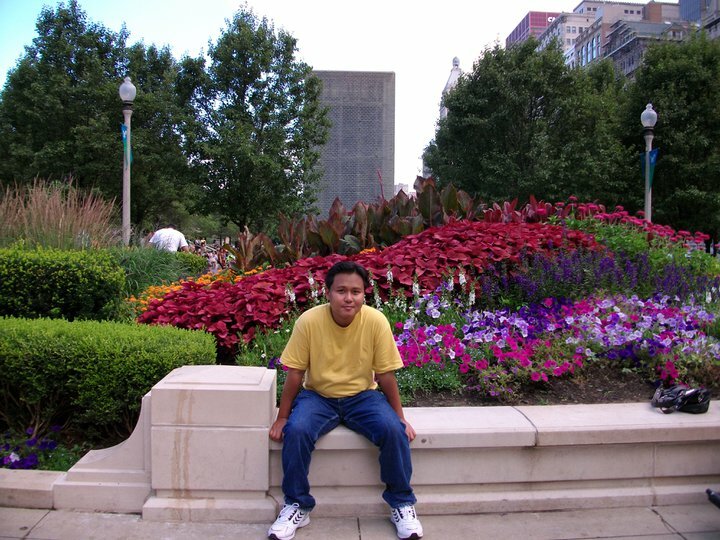 At the Millennium Park in Chicago, Illinois. At a park in Hinsdale, a suburb of Chicago, Illinois.